When in Singapore, make a side trip to see Universal Studios Singapore in Sentosa Island, approximately 32 minutes away. 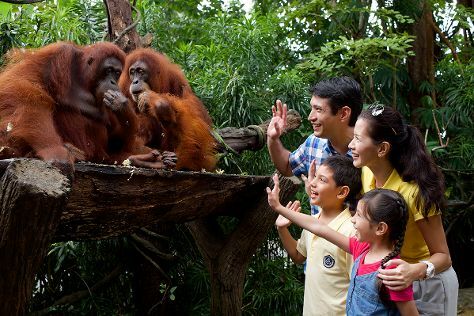 And it doesn't end there: admire nature's wide array of creatures at Singapore Zoo, don't miss a visit to Orchard Road, take in nature's colorful creations at Singapore Botanic Gardens, and enjoy breathtaking views from Marina Bay Sands Skypark. You can plan Singapore trip in no time by asking Inspirock to help create your itinerary. Expect a daytime high around 36°C in December, and nighttime lows around 29°C. Cap off your sightseeing on the 3rd (Thu) early enough to travel back home.